Home » Blog » Blog » It’s a tug of war! It’s a tug of war! We all know how people like the feel good feeling of solving a problem. Well…I think people shouldnt create problems as is often the case, and then feel good about solving them. When it comes to our health, I’m positive most of us have been at the place where we are grateful just to feel normal and be able to do normal stuff after a bout of illness, but have we ever stopped to check how we might have contributed to getting ill, either by our actions or negligence? Even though we sometimes dont consider malaria a dangerous illness, it is. But for the sake of arguement, lets assume malaria-like diseases are at one end of a continuum and cancer or some other fearful diseases are at the other end. At what point on the continuum would you prevent rather than cure? Peoples’ chances of survival are directly linked to early detection when they have cancer, this is the case for most diseases. Would you elect to perform a test that helps you stay ahead of cancer? How about for malaria? Would you take active recommended steps to ensure you never get ill? Does the cost of discipline (in daily diet and lifestyle choices) outweigh the cost of morbidity and mortality in some cases? Well…The same rules apply at either end of the continuum and no action is too small or too big if it is geared towards keeping you safe and healthy. Prevention is the only thing better than cure when it comes to you and your health/wellbeing. 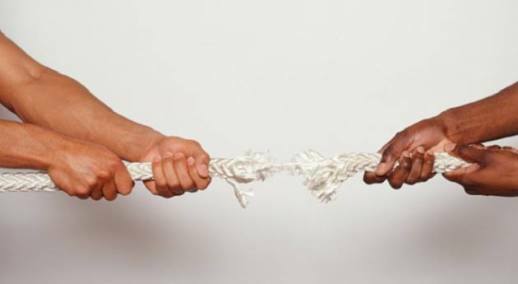 So, Why is it a tug of war when you are faced with the opportunity to make healthier choices? Discipline and commitment for health vs. Indulgence and carelessness for eventual illness and maybe death: who do you think should win the war? It’s time to stop the war! Don’t be a casualty.